Home > Blog > Why Own an Air Rifle? Why Own an Air Rifle? Generally speaking, an air rifle is a type of projectile firing tool (or weapon, depending on your bias) that does not use explosives to force the projectile forward. They produce less power than traditional firearms that use gunpowder, but can still cause damage to an operator or bystander if they are not treated with respect. In terms of practical applications, this article will demonstrate several reasons that it is a beneficial idea to own an air rifle. As an introduction, they are very good solutions to most problems having to do with vermin, and are great if a person is trying to learn the basics of marksmanship. On top of those uses, air rifles are great for hunting as well, and in addition to marksmanship, they are fun. They should never be treated like toys, and I will mention that a few times throughout this article, but that is because they should not be thought of as toys. They can cause physical damage, but when they are treated with diligent respect, an air rifle, a sunny afternoon and a lineup of cans can produce a great afternoon. One of the most common uses for air rifles is pest control. Pests and vermin can attack and infest any type of property causing all manner of problems. From small rodents such as rats, all the way to rabbits, pets can cause problems for homes as well as crops and gardens. With their accuracy and power, air rifles are the perfect solution to any pest problem involving small animals. There are a couple of reasons for which air rifles are such popular tools for pest control. The first of these is the price. An air rifle can be purchased for as little as $40 USD or as much as $1000. Although there are much more pricey options for air rifles, they are generally used by professional contest shooters and are not practical for simple pest control. The fact that they are so much cheaper than full power firearms and other options for pest control, and can generally get the job done is a major reason air rifles are so popular for pest control. The second reason they are perfect for pest control is that air rifles are generally safe for use around homes. Many pests will target homes or farms, and as such, a full powered rifle may cause serious damage if the shooter misses. Air rifles may break windows in the case of a missed shot, but never damage walls or doors if they are hit. The pellets do not fly with a great deal of power and are not extremely heavy, so their potential for property damage is very limited. Much like pest control, there are many animals that can be hunted with air rifles. As previously stated, they lack the power of conventional rifles and therefore are safer. But keep in mind, that if they are not handled with care and respect, they are not safe. There are different sizes and power methods for different air rifles, and as such they can be used for a variety of hunting uses. Smaller pellets may be used to take down small pests around the house, but there are many more uses for larger pellets. Among the wide array of animals that air rifles are effective against include squirrels, rabbits, foxes, small feral dogs, feral cats and coyotes. While a conventional rifle could be used to hunt these animals, it is completely overkill and both the weapon on the ammunition cost far too much, not to mention the licensing and regulation in some areas. One of the best reasons to own an air rifle is for marksmanship training. Firearms can be very dangerous in the hands of an untrained shooter, and can not only cause damage to property but can also lead to serious injury and possible fatality. Such outcomes are very unlikely when using an air rifle. For the purposes of recreational marksmanship and marksmanship training, air rifles offer a few different perks when compared to full power firearms. These perks include their limited range, great accuracy, limited sound and the fact that, as previously stated, they are relatively inexpensive to buy new. Range: Very few pellet guns can actually shoot for a distance of more than a hundred or so yards. For much of this distance they will not produce much power. For this reason they are not much of a threat to people or property. Their limited range but accuracy over that range makes them a simple and ideal method to train new and young shooters to operate a gun in a backyard or in a rural field without significant risk to others. Accuracy: While the range for these guns is limited at range due to the power, they are very accurate over those short distances and can really be a very useful tool when teaching a new shooter how to sight in a rifle and effectively shoot for consistent accuracy. While the effective accurate ranges does vary from rifle to rifle, air rifle technology has increased over the last several decades and there are now air rifles that are accurate at just ten yards, all the way out to air rifles that can be accurate all the way out to sixty yards, in the hands of a decent shooter with proper technique. Noise: One major complaint about firearms is that they make quite a bit of noise. Whether it is a 9mm or a 5.56mm assault weapon, the loud crack of a gunshot can disturb the peace and incite panic in some areas. Air rifles do make some noise, but not nearly as much as a full powered rifle or pistol. The fact that they do not spook people means that they can be used in places other than specialized ranges. While at least setting up some sort of range and ensuring a backstop in case of a miss is important, it is not nearly as much of a big deal when firing an air rifle. Additionally, due to the limited noise, all one needs to practice their shooting is a secluded area. No need for a full range, and in rural areas, all that is needed is a field and some tin cans. Cost: Overall, air rifles are much cheaper than conventional rifles. There are different kinds of air rifle, but no matter which type you choose, they are much less expensive than their equivalents whether you want to use them for marksmanship or hunting. Some air rifles such as the Daisy Red Ryder, are relatively cheap, while others such as the Gamo Silent Cat can cost over a couple of hundred dollars, but either way, they last a long time, with less maintenance than other firearms and use ammunition that costs a mere fraction of conventional firearms. Air rifles are very specialized in this day and age. Rather than simply having to choose one air rifle and hoping that it is able to do the job you require, these tools are highly specialized and maximized for certain jobs. One example is the Gamo Whisper Fusion Pro, which is highly accurate and very quiet which makes it perfect for pest control. Similarly, other air rifles such as the Daisy Red Ryder, a classic in the world of pellet guns, is impractical for hunting or pests, but perfect for backyard target practice, with simplicity of design and a very low price tag. With the different roles air guns must fill, there are several key types of air gun which are suited to different purposes. Break Barrel: Probably the simplest of the air rifles, spring piston, break barrel rifles are simply made and very reliable. In order to operate such a system, the barrel breaks in half (hence the name) and the pellet is inserted, before reconfiguring the barrel back into position. A spring apparatus is then pulled and it is ready to shoot. It’s easy to use, simple to master but slow to reload. This makes them ideal for targets and hunting a single pest or small game animal, but somewhat less practical is hunting more than one creature. Multi-Pump Pneumatic: Another type of air gun that has been popular for generations is the multi-pump pneumatic. This system uses a pump to compress air which will propel the projectile forward. Essentially, the user is in charge of how much power will be behind the shot and can determine such a factor on every shot. These can have more power than a break barrel style rifle, but the pumping can be exhausting for young or inexperienced shooters. CO2: As the name implies, these rifles use compressed carbon dioxide to fire their projectiles. They are reliable, simple to use and involve a compressed tank of gas that attaches to the rifle and uses small bursts with every trigger pull to shoot. Changing these cartridges can be time consuming but with no pumping or breaking the barrel, rapid fire is possible and most of these air rifles can shoot as fast as the operator can pull the trigger. If there is a downside to CO2 powered rifles, they do lack some power. Pre-Charged Pneumatic: These mean machines are the premium type of air rifle. They boast great power, often enough to effectively launch a larger calibre pellet and can be used on large types of game. Like the CO2 style of air rifle, PCP’s use compressed gas to propel their projectiles, but without any pumping and instead, are usually fed by an external source of gas. They are generally the best, such as the Benjamin Marauder, which has been a popular design for years, but they are very expensive. Much like propulsion style, there are different sizes of pellet that are specialized to certain tasks. They range from the very small, which fly fast, but lack power, to the slower flying, and less accurate, but which boast great power. .177: This smallest of the pellet sizes generally lacks power, (depending on the rifle). They fly straight and generally the fastest, but their fundamental lack of size makes them impractical for uses such as hunting anything larger than a squirrel. However, if your purpose is to casually plink in a field somewhere, a .177 may be all you need. They are cheap, won’t damage property, and in a pinch, in the hand of a good shooter, a .177 will take down an animal the size of a rabbit. .20: These are not very common these days but it is still possible to find air rifles that shoot the .20 calibre pellet. It is more powerful than the .177, but will not always fly as straight. It has lost its popularity mostly due to the next calibre to be looked at; the very popular .22. .22: Probably the most widely used air rifle pellet today, the .22 is a great all around choice and has a great combination of power and accuracy. It flies quite straight, can achieve decent distances and carries with it the power to make kill shots on foxes, small wild dogs and raccoons. Finally, due to their popularity, the .22 calibre has seen a drop in price and is, next to the .177, the most widely available pellet size. .25: It is completely overkill for tin cans or paper targets, but if you want to take down a larger animal, such as a full size wild dog or a coyote, the .25 may be the best choice. It is not very accurate and won’t make many great shots up around 50 yards, but within that range it is deadly. .25 is not the largest calibre out there, as Crosman has been developing air rifles with .357 calibre pellets, which they boast can take down deer and wild boars, but the .357 is impractical for many shooters. In order to truly maximize your shooting experience, many air rifles are made with picatinny style rails and other accessory attachment features so that special scopes, or other modifications may be made. These range from scopes, to stocks and triggers that can be calibrated for a pull of the shooter’s preference. Scopes: There is no shortage of scopes available for today’s air rifle. They can be specialized to fit with a certain rifle or production company, or they can be made to fit on to multiple rifles with the right attachment system. Different scopes will have varying levels of sight amplification, and obviously quality will cost more, but when it comes to accuracy, don’t cheap out. Custom Parts: Much like full power firearms, there are a great number of rifles being made these days that have the option to swap out their original parts for a more specialized and individualized shooting experience. Stocks that better fit with the overall size of a shooter are available, in addition to specialized barrels. Finally, while some Gamo rifles have started to be constructed with built in suppressors, these implements have been created by other companies to enable quieter shooting. Specialty Ammo Types: On top of air rifles and their parts, their projectiles have started to be specially engineered too. Depending on the construction of the pellet along with the type of metal, some are heavier, fly straighter and hit with more power. 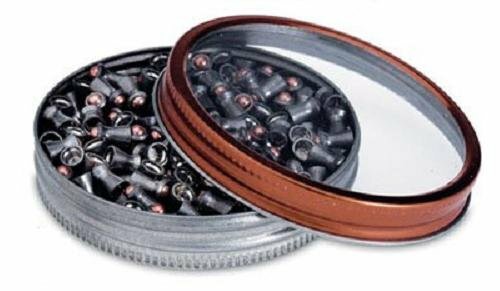 These styles of pellets create a truly specialized shooting experience tuned to whatever use the shooter requires. One of the great things about air rifles is that for the most part, governments still keep their hands off. Obviously if a shooter starts to cause mischief or injury to others with his pellet gun, there will be consequences, but for private use that does not affect others, they are still much simpler to purchase and keep than full powered firearms. Since their use is generally recreational and as a hunting/pest control tool, in conjunction with their limited power, they are generally available to most people as long as they are over 18 (depending on region). So, why own an Air Rifle? There are numerous reasons to own an air rifle. They are a great tool to either hunt small game, rid your property of pests and finally to practice shooting or train shooters. They are heavily customizable, with different types and sizes of pellet tailored to different conditions and shooting needs. Finally, they are very affordable and easy to acquire, especially when compared to full powered guns. Obviously, however, they should always be treated with the same amount of respect as a firearm, no matter what your purpose is. Overall, if you are looking for a fun afternoon shooting cans, or a simple, cheap tool for hunting or pests around the house, an air rifle is a great tool that can last a long time.